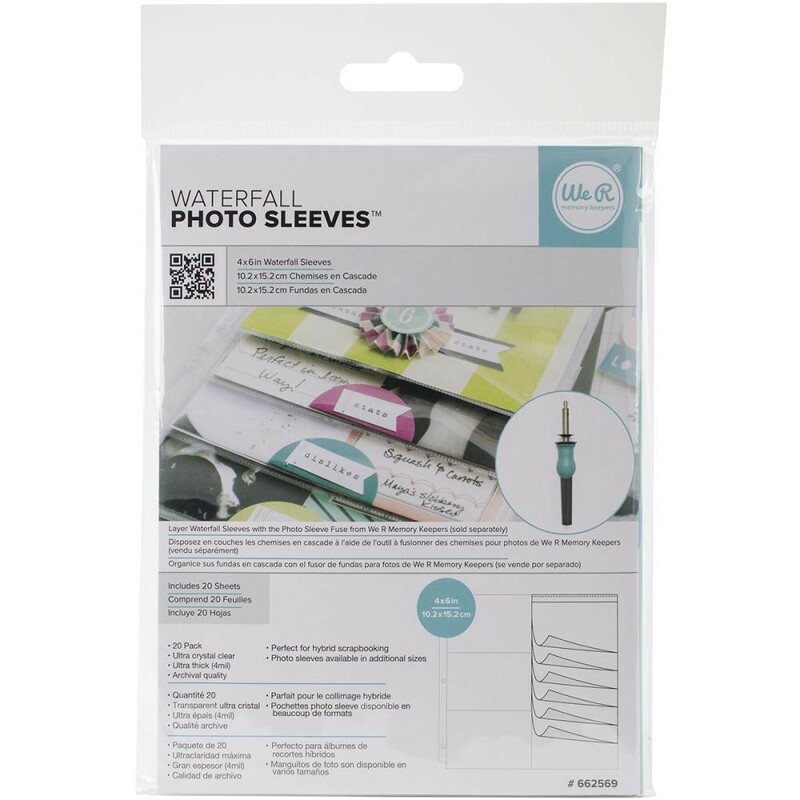 We R Memory Keepers-Photo Sleeve Fuse Waterfall Sleeves: 4x6 Inches. Perfect for hybrid scrapbooking! Layer Waterfall Sleeves with the Photo Sleeve Fuse (sold separately). Strong clean micro- weld seams will not tear or separate! Will not stick to photographs memorabilia or photocopies. This package contains twenty 4x6 inch clear polypropylene film photo sleeves.